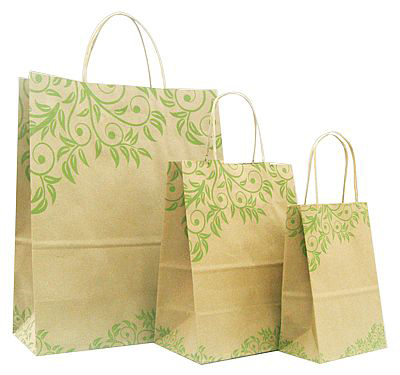 If you need economy and green gift bags,brown paper gift bags are perfect.They are made from recyclable and recycled brown kraft paper,with twisted handle,flat paper handle,cotton handle and ribbon handles to build 100% biodegradable bags.Custom logos can be printed on those brown paper gift bags for event,conference,and other occasion.At 4GiftPack,brown paper gift bags come in wide range of design,styles,color and size at great cheap pricing. 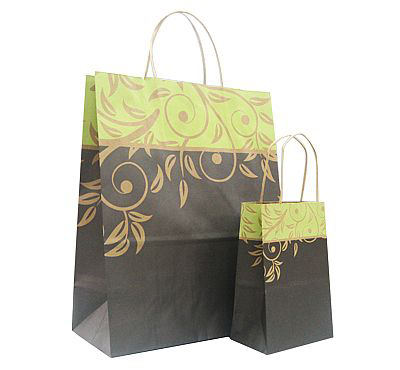 These brown paper gift bags are made of 100g brown kraft paper, twisted paper handle, coming in 4 sizes and three design.Custom logo can be printed on bags by hot stamping. 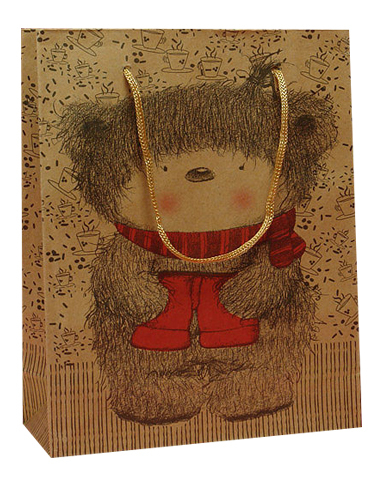 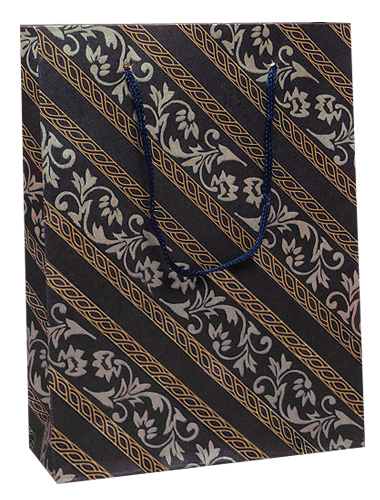 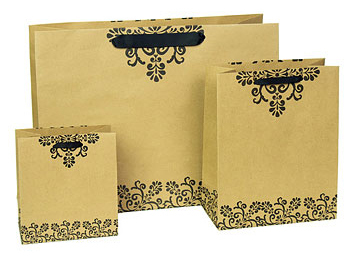 1) 5 1/2 x 3 3/4 x 8 1/2" 2) 8 x 4 3/4 x 10 1/2" 3) 16 x 6 x 12" 4) 16 x 6 x 19"
These brown paper gift bags are made from 120g brown kraft paper,feature colored ribbon handle,reinforced paper board at top and bottom,coming in 3 sizes and 3 design,custom logo can be imprinted on bag by hot stamping. 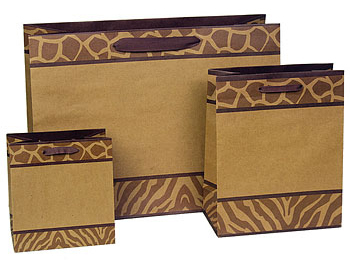 size 1) 5.25 x 3.5 x 8.25" 2) ,8.5 x 4.75 x 10.5"
size 1) 5 x 3 x 8" 2) 8 x 4 x 10"
3) 10 x 5 x 13" 4) 16 x 6 x 12"
made of 100g brown kraft paper,with twisted paper handles,coming in 10 sizes,custom logo can be hot stamped on bags. 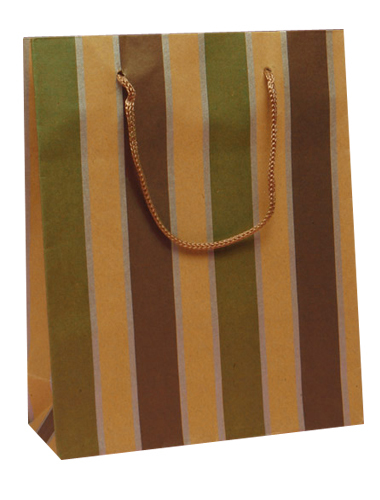 1) 5 x 3 x8" 2) 5 1/2 x 3 x 13"
3) 8 x 4 x 10" 4) 8 x 4 x 10 1/2"
5) 10 x 5 x 10" 6) 10 x 5 x 13"
7) 13 x 6 x16" 8) 16 x 6 x 13"
9) 16 x 6 x 19" 10) 18 x 7 x 19"
1) 5 x 3 x 8" 2 ) 8 x 4 x 10" 3) 16 x 6 x 12" 4) 16 x 6 x 19"
size 1) 5 1/2 x 3 1/2 x 8 1/2" 2) 8 1/2 x 4 x 10 1/2 3) 10 x 5 x 13" 4) 16 x 6 x 12"
1) 5 x 3 x 8" 2) 8 x 4 x 10" 3) 10 x 4 x 6" 4) 10 x 5 x 13" 5) 16 x 6 x 12" 6) 16 x 6 x 19"
4GiftPack specialize in manufacturing custom made brown paper bags that are made from customer's specification exactly to fit their products or events.Custom Brown Paper Bags come in many styles such as brown paper bags with twisted handle,brown paper bags with flat handle,brown paper bags with rope handle.Custom Brown Paper Bags at www.4giftpack.com come in any size,color,shape and important all custom brown paper bags are 100% recyclable and biodegradable at great cheap price. 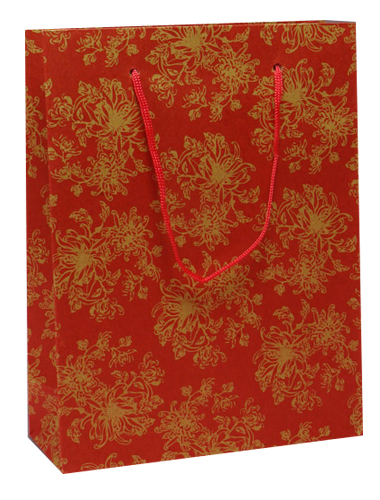 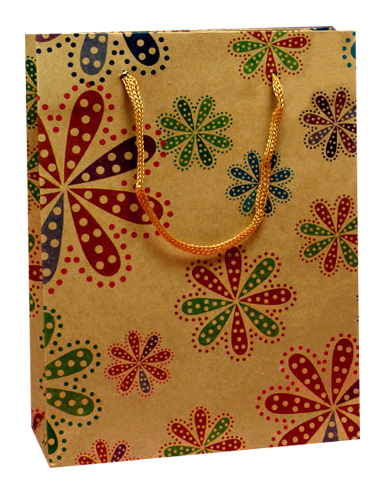 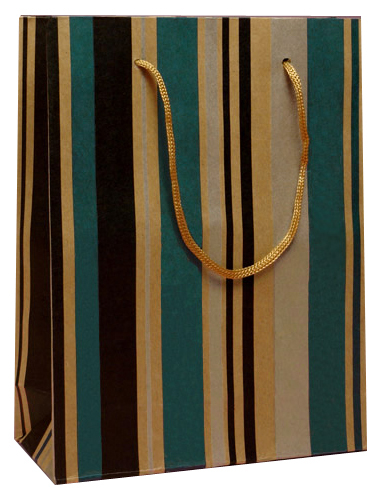 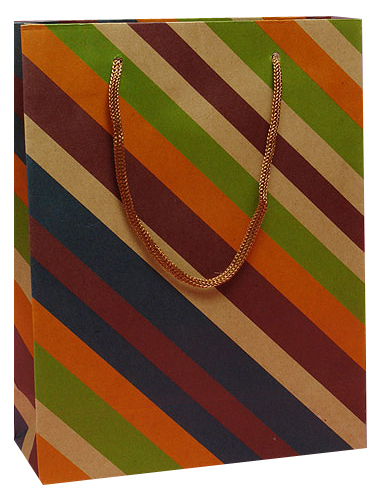 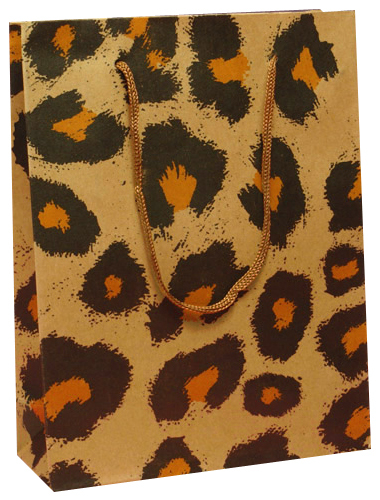 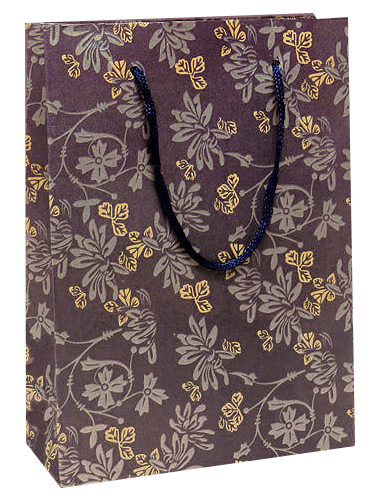 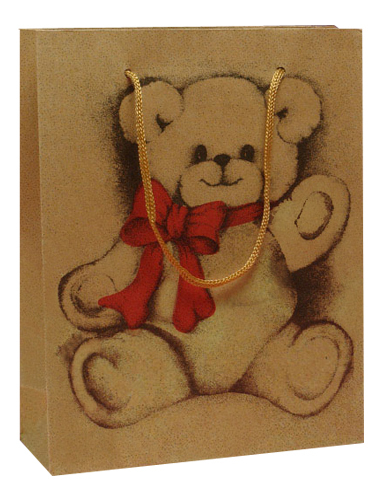 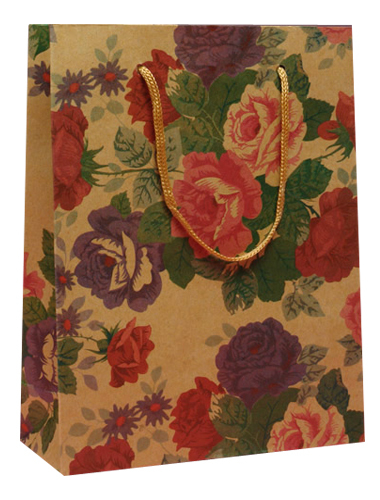 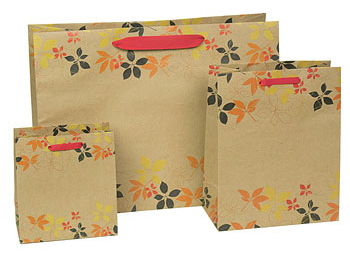 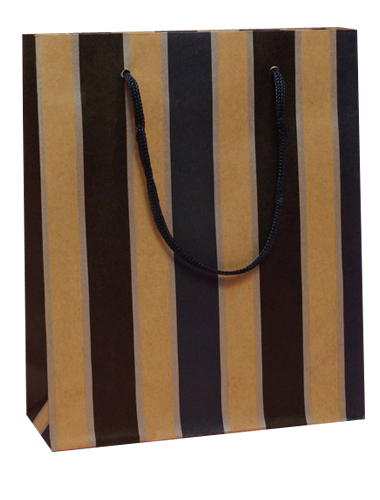 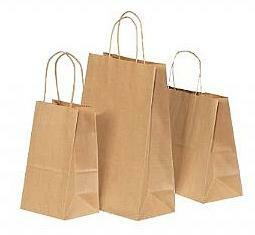 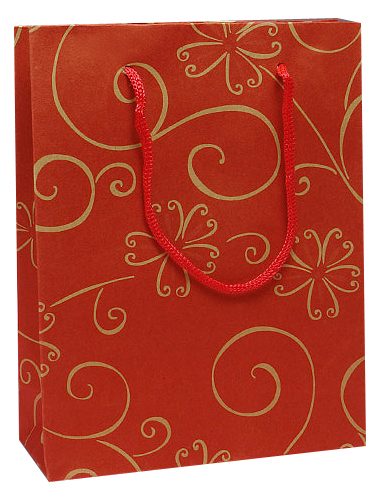 4GiftPack provide custom made brown paper bags coming in any size,any color and shape to meet customer's specification. 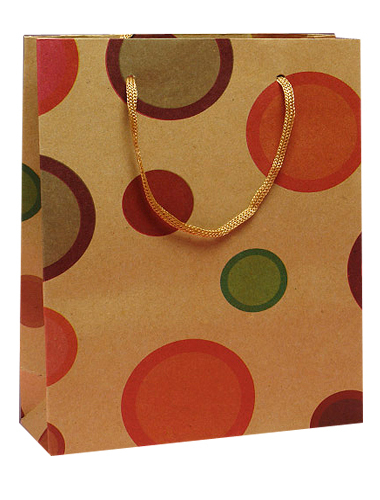 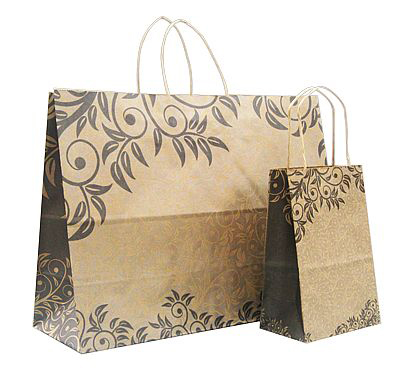 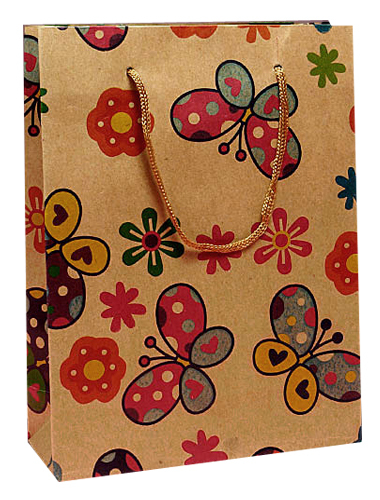 Brown Paper bags are mostly preferred for promotional offers by many business and stores.Brown paper bags are best suited for pacjage and carriage purpose.Brown paper bags can be decorated with beautiful printing and finishes process to give a more appealing and beautiful look.Brown paper bags are mostly affordable becasue they are cost effective retaining the beauty and nature of resistance for a long period.Brown paper bags are available in any size,any color and shape to suit any products to carry. 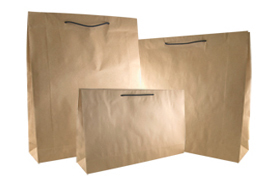 4GiftPack specialize in manufactuing custom made brown paper bags to fit any occasion and any quantity.Contact with us now to create your brown paper bags to present your business the best.